It's *that* time of year again... camp season is right around the corner! Before you know it, the cold weather will be replaced by warm temps, and thoughts of hiking trails and campfires will fill our children's heads. You may have already read my post on why I think camp is so important (and if you haven't, feel free to click on the link :), so I thought I'd list some resources to help you find the perfect camp for your child, if you haven't done so already. Our Camp Guide is another great resource, with tips on helping first-time campers deal with the anxiety of being away from home, as well as helpful info like packing lists for both day camp and overnight camp. When planning for camp, don't forget to label your child's items! 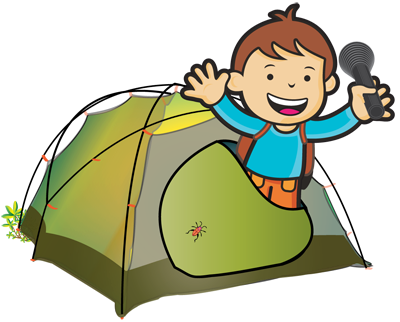 Our Camp Package is available all year long, and comes in over 45 designs, including allergy alert styles. It contains plenty of labels for everything your child brings to sleep-over camp - Original Labels for water bottles and flashlights, Mini Labels for toothbrushes and pens, Shoe Labels for runners and flip flops, Stick-eez™ Clothing Labels for clothing with ‘care-tags’, Iron-on Clothing Labels for tagless clothing and Large Bag Tags for backpacks and duffel bags. And, if there's something in the package that you don't want or need, you can customize it! As always, our customer service team is here to help either via live chat or phone (1-800-398-2060) between 9 am and 5 pm Eastern Time. Have a question about camp? Feel free to post it on our Facebook wall, comment below, or tweet us (@oliverslabels) and we'll do our best to help!! Oliver's Labels are now even better! NEW Nickelodeon Designs - Paw Patrol and more! Enter For A Chance To Win NEW Stick-eez™ Clothing Dots!